When Jerome Powell becomes the new chair of the Federal Reserve Bank in 2018, a host of problems await his attention. The financial world and the American economy will be deeply concerned about his response. Becoming chair of the Federal Reserve Bank is the most prestigious and important financial position in the world. It means setting policy that other central bankers will follow closely and often emulate. But there is also the danger of setting the wrong strategy that will cause great economic harm such as a severe recession, long-term financial stagnation, or crippling inflation. Even before becoming Fed chair, Jerome Powell faces a myriad of economic problems that his predecessor, Janet Yellin, had a difficult time dealing with. The real question is how Powell will deal with these problems as well as any new situations that may arise during his tenure in office. If there is one key economic problem that Mr. Powell must face immediately is that of falling wages for American workers. According to the Federal Reserve Bank of Atlanta, the non-inflation-adjusted wage growth has gone from 3.9 percent in November 2016 to 3.2 percent in February 2017. In 1999, wage growth averaged approximately 5 percent. American workers are seeing a diminishing of their earnings and this has been occurring especially for low earners. 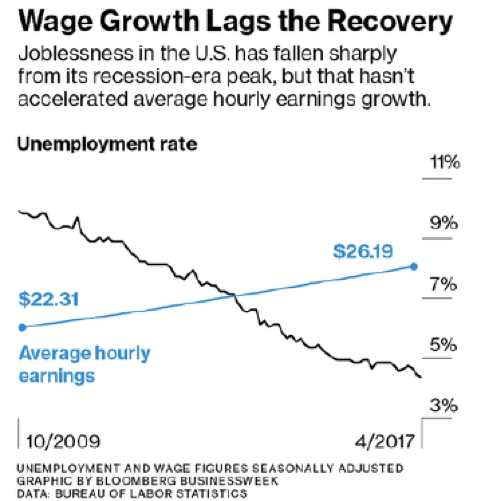 Since 2000, weekly wages have seen a drop, in real terms, of 3.7 percent for those in the bottom ten percent of earnings, while it has fallen 3 percent for those in the lowest 25 percent. American workers are not seeing significant earnings growth and this means they are not able to spend funds for decent housing, food, or to send their children to college, even to an in-state institution. Those suffering wage deflation include younger people just entering the workforce. For example, workers between 18 and 24 have seen their wages drop between 2.5 percent and 14 percent in areas such as professional services, retail, wholesale, and leisure and hospitality. Many of these young people are college graduates, either recently or in the past ten years, and they are in a severe bind. They have student loans to pay off, as well as car loans along with credit card debt and their pay checks are not enough to sustain them. Because of this situation, many young people have put off marriage, starting a family, buying a home, and are not even able to move out of their parent’s house. Young people are suffering the most since their wages are rising 60 percent more slowly than the overall earnings for the American workforce. The amazing thing is that the American economy has seen growth since the Great Recession as jobs are being created at an average of 200,000 per month. 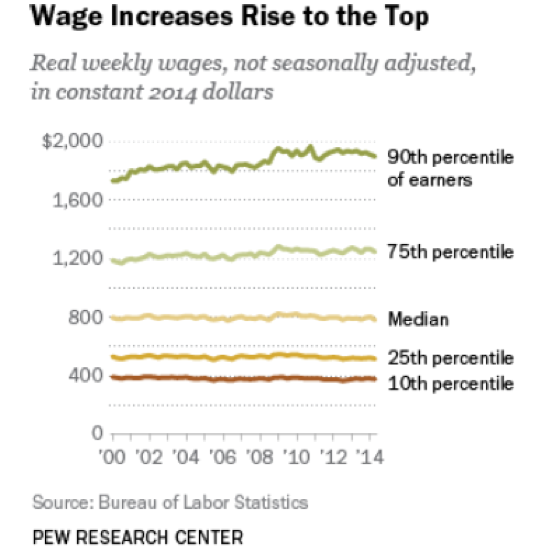 But wages are still falling. For example, in a study in 2014 by the National Employment Law Project (NELP), factory work today is actually paying less than workers earned years ago. NELP researchers reached the conclusion that real wages for factory workers were reduced by 4.4 percent from 2003 to 2013. The Fed must not only be concerned with employment increasing as an economic policy objective but also that workers earn a livable, sustainable wage in order for there to be long-term economic growth. Mr. Powell will be facing a roaring bull stock market when he assumes office in 2018. That is both good and bad news for the American economy. On the one hand, many pensions, mutual funds, 401(k)s, and investor’s personal fortunes are seeing tremendous growth since 2009. The bad news is that this may be a bubble that could burst on Mr. Powell’s watch as Fed chair. Critics in both the financial sector and the academic community feel the stock market is overvalued and has been for a while. According to a recent report by the investment house, Goldman Sachs, over the last 40 years common stocks have been more expensive only 11 percent of the time making it difficult for investors to find bargains. They also stated that the median stock in the S&P 500 had a forward price-to-earnings (P/E) ratio of 18.7 which was higher than 98 percent of the time. According to Goldman Sachs’ report the stock market is very expensive and probably higher than at any point in its history. Another index that states that the stock market is overvalued is the Shiller P/E ratio, created by Yale University economics professor and Nobel laureate Robert Shiller. This formula uses the P/E ratio over a ten-year average of earnings adjusted for inflation. The scary part is that the Shiller P/E ratio is at a higher level than ever seen in the last 140 years. There have been two exceptions to this high point: the time period leading up to the Great Crash of 1929 and when the dot-com bubble burst in the early 2000’s. The problem is that such a market could lure those investors who should actually stay away since they will be overpaying for many stocks that normally would not be at these levels. 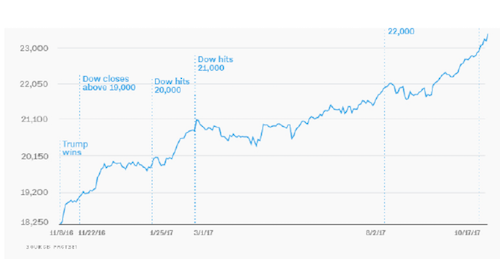 The higher the stock market the more the chance there may be an eventual crash, either sudden or gradual. But either way, a market decline will affect the American economy since investors will become liquid and look for alternatives to place their cash. This could mean that companies will not receive an influx of funds to expand their operations, invest in research and development, or hire more people. Investors who are in the market due to their 401(k)s or for a child’s education fund, will be hurt for a while and suffer either buyer’s remorse or very bitter feelings about investing. Mr. Powell will need to figure out what to do in case of a market crash and its impact on the American economy. If there was a policy concern that Donald Trump had in 2017, besides eliminating Obamacare, it was passing a tax cut he could brag about. With the tax plan, rates for private individuals and corporations will decrease, the alternative minimum tax disappears, and the estate tax is history. The promise by House Speaker Paul Ryan and Senate Majority leader Mitch McConnell is that with this tax cut the American economy will grow in unprecedented fashion. Jobs will be created as never before and wages will rise to more than sustain the American worker. But will it? What Mr. Powell should be concerned about is that with a tax cut there is the strong possibility that the federal budget deficit increases since there was nothing in the plan to pay for it. Adding to the financial dilemma, the national debt will also increase in order to pay for the federal deficit. Even if the tax cut spurs the American economy to grow from 2 percent to 4 percent, it could mean rising inflation. Then any economic growth provided by the tax cut would be offset by higher interest rates by the Fed. The U.S. economy, for all intents and purposes, is growing. While it has not been perfect, there is still growth. The big question on Mr. Powell’s mind probably is whether this tax cut will do more harm than good in the long and short-term. While the American economy is both growing and still the largest in the world, it is not overheating. There is moderate growth in the nation’s gross domestic product, unemployment is low at about 4 percent, and inflation is manageable at approximately 2 percent. While Trump and his advisors would like to see the domestic economy grow at 4 percent, given the economic state of the U.S. and world, is it feasible? 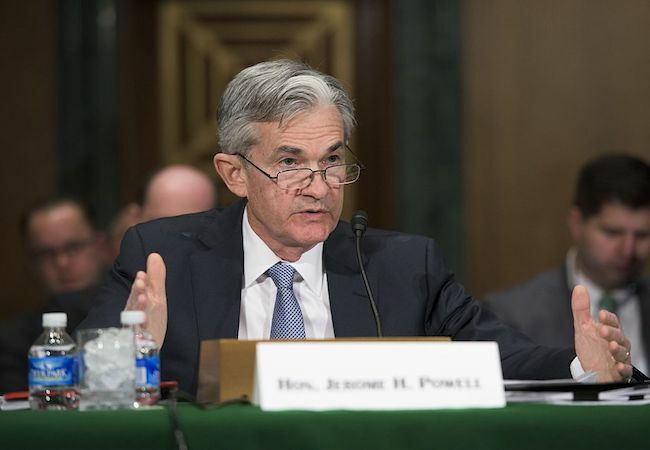 Mr. Powell, as Fed chair, would love to see the American economy grow, but even he realizes there will be a price to pay for such expansion, namely inflation. If inflation increases, the Fed will most likely react by raising interest rates, thereby making it more expensive for companies and private individuals to do long and short-term borrowing. 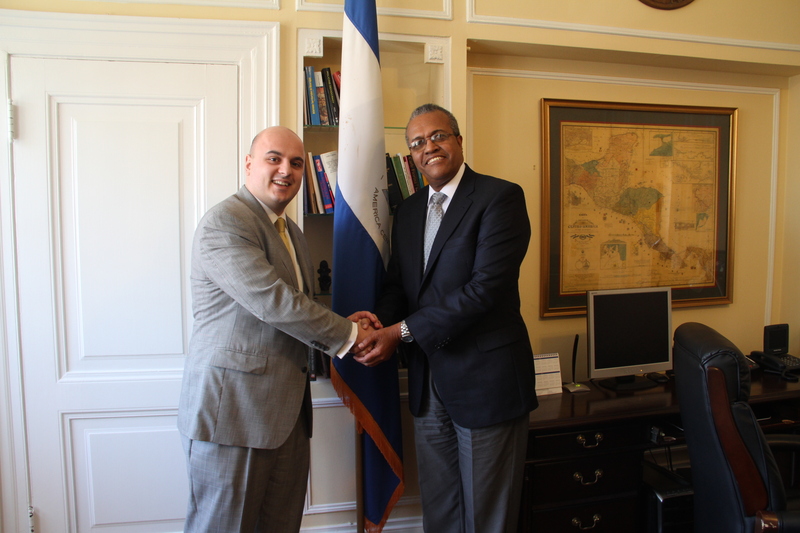 The challenges awaiting Mr. Powell, both known and unknown, will probably give him sleepless nights. But the real question is how he will respond to them.